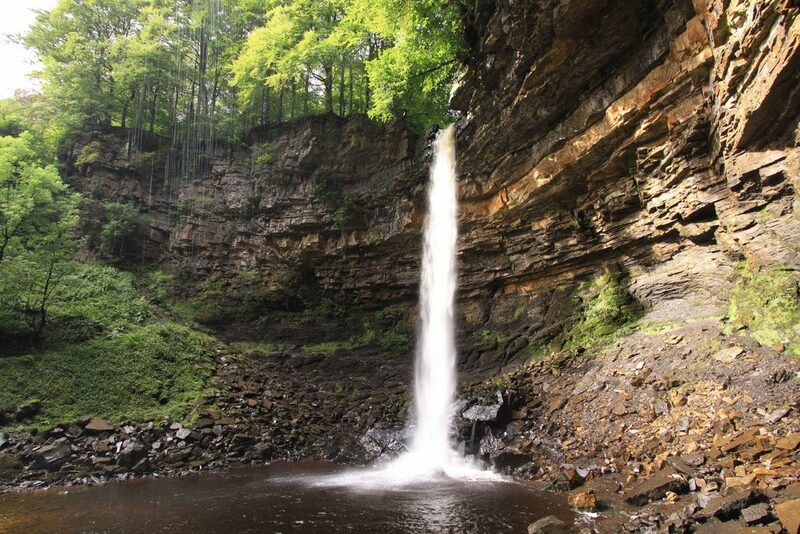 A stone’s throw from Hawthorns Caravan Park are the Yorkshire Dales. Nestled amongst this cinematic landscape are a number of exceptional streams and waterfalls. With their gentle babbling and opportunity to spot wildlife, these beauties offer moments of tranquillity and peace just waiting to be discovered. We’ve put together a list of our eight favourite waterfalls that will help you relax, unwind and take a break from the everyday hustle and bustle. 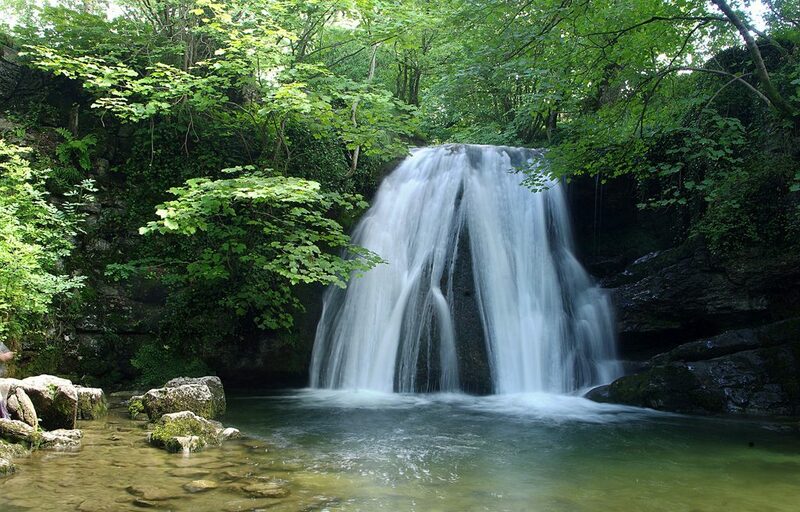 Just a short walk from parking nearby, you’ll be delighted with Janet’s Foss. Although the source stream is only small and gentle, it results in an impressive cascade and it’s said that Janet, the Queen of the fairies, lives in the cave beyond the fall. 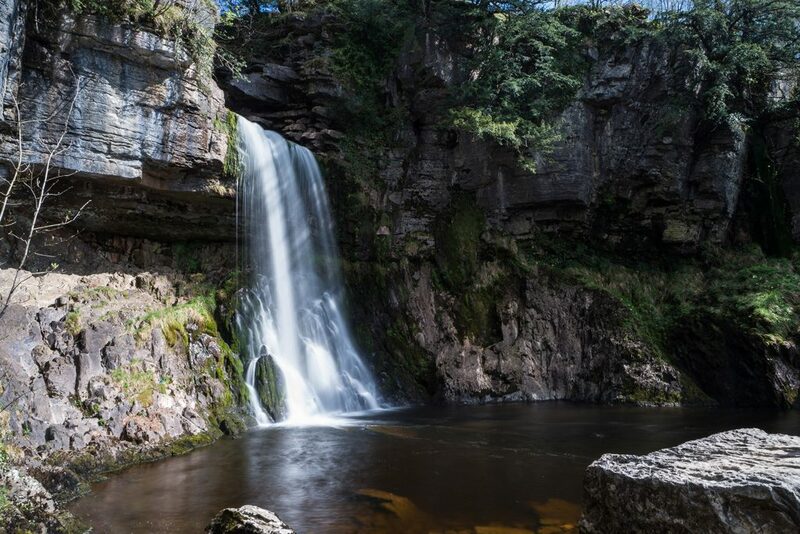 A must-see for anyone visiting the Yorkshire Dales, the three falls are surrounded by stunning scenery and a sweet tea rooms just a short walk along the river. Take sturdy boots as some of the terrain can be a little rocky, but there’s so much to see, especially for any budding photographers. 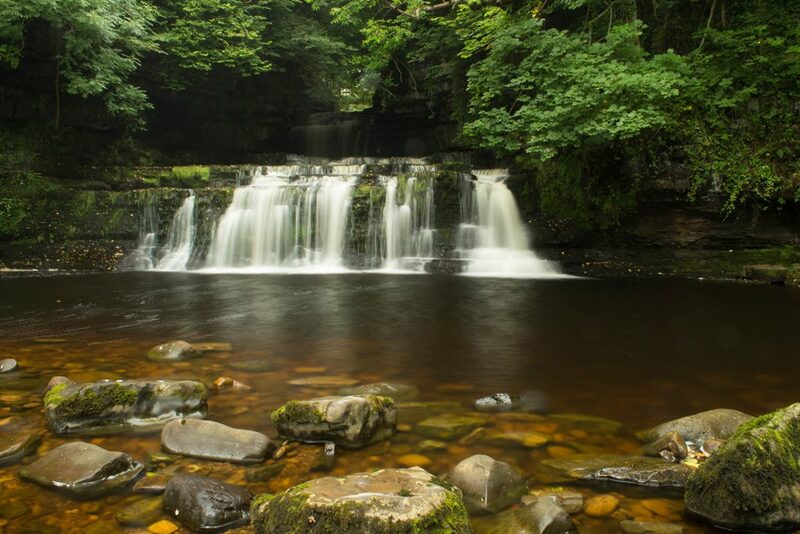 Whether it’s a cold crisp Autumn afternoon or a summer’s day, Linton Falls is home to interesting rock formations, a lovely easy walk and birdlife like kingfishers and dippers. It’s a lovely walk along the banks and across the bridge too – you could even take a trip to the nearby church as well. Follow the trail as it weaves alongside two rivers until you catch sight of the spectacular waterfalls. There are plenty of routes, but these do feature steps so make sure you’re wearing boots or strong shoes to tackle them. There’s also a family-run café close to the trail, as well as a refreshment hut halfway round the trail. This hidden gem is ideal for a family trip with a picnic included. 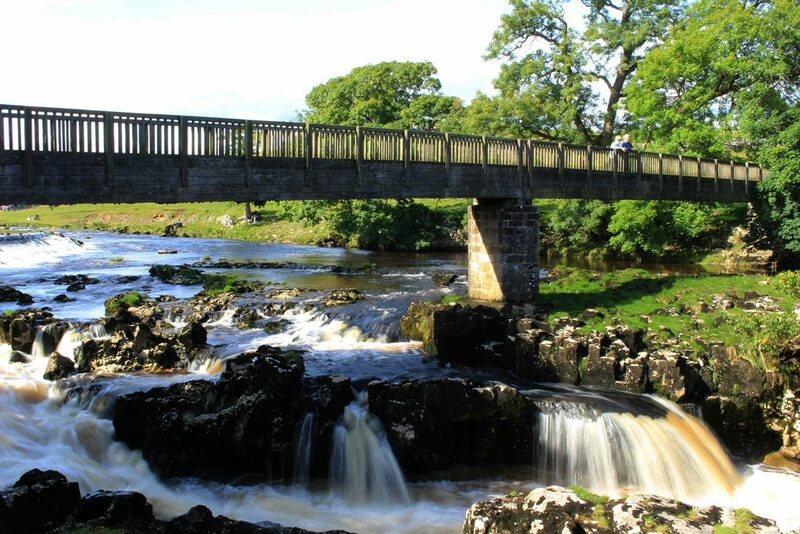 Enjoy seeing the falls as you do the circuit round Hawes and slowly saunter by the riverside. The path makes it suitable for pushchairs and wheelchairs, but it can get a bit rockier if you want to go for a closer look. 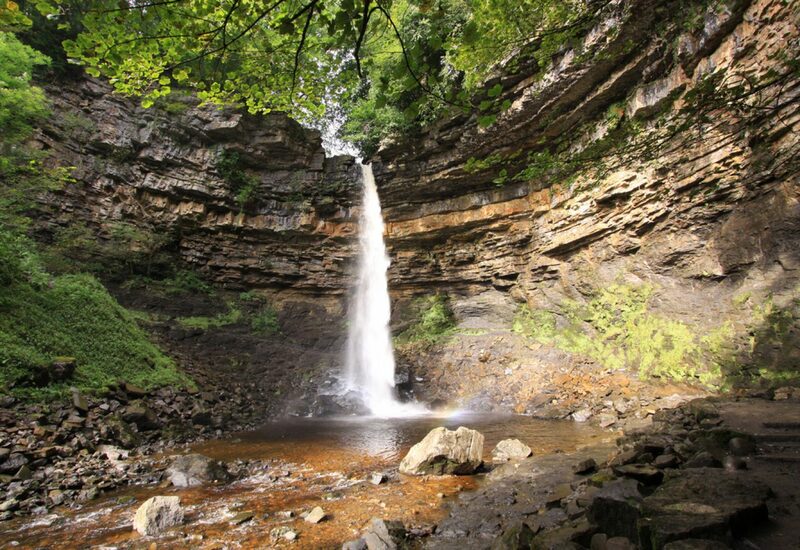 These dramatic falls are nestled amongst stunning woodland and have a café nearby so you can refuel and explore the area. 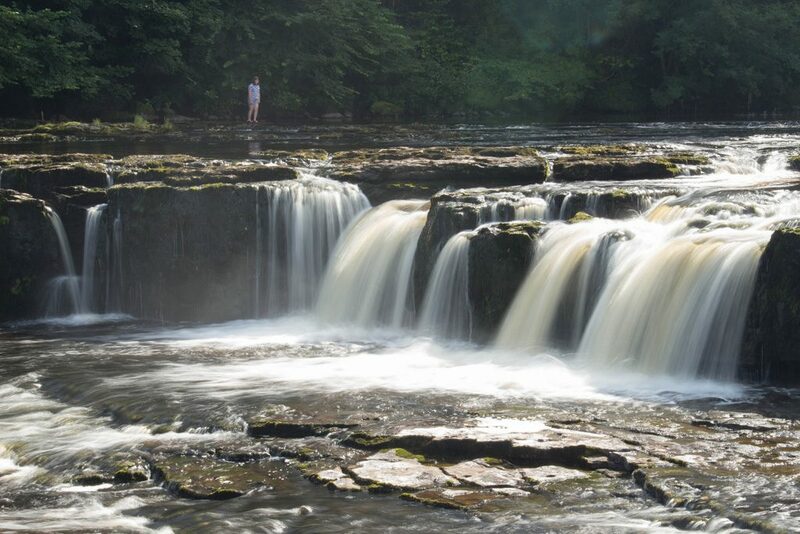 What’s more, these falls featured in Robin Hood Prince of Thieves, so you’ll be experiencing a bit of film history too! 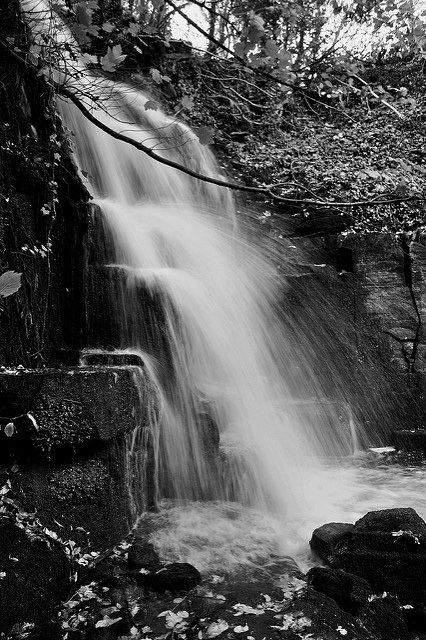 This enchanting waterfall, tea garden and woodland are straight out of a fairy tale. Whether you’re going for a hike, dog walk or visit to the café and play park, you’re in the perfect place to explore. The café sells tea, coffee and foo in a basket so you can enjoy refreshments right by the falls. 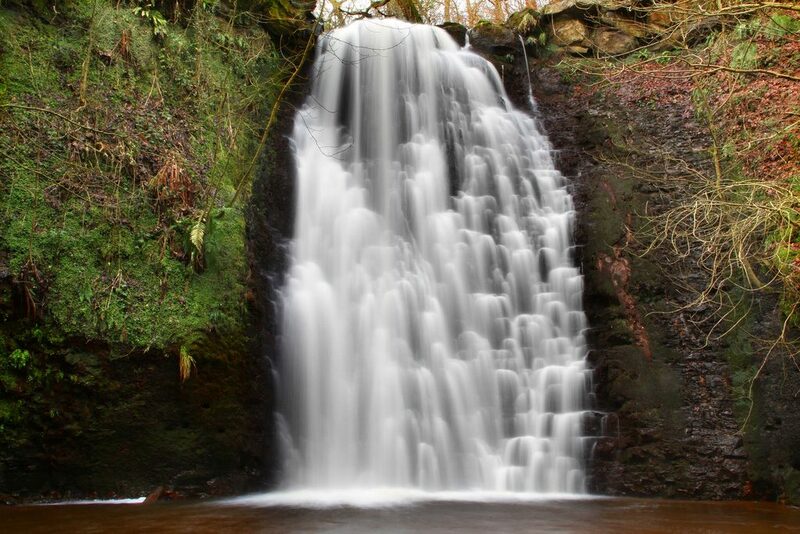 A wonderfully hidden surprise, Harmby Waterfall is a lovely spot and is so easy to get to. Situated in a shady dell, you can follow the public footpath down to the falls, before stopping off at the pub opposite for a spot of local grub. Taking a tour of the Yorkshire Dales feels like a great adventure. The picturesque scenery, hidden gems and eerie woodland are all perfect for those who want a walk on the wild side. 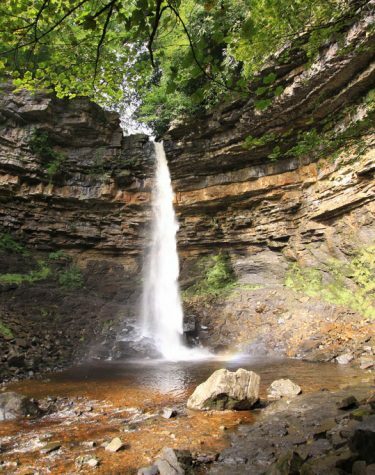 With so many waterfalls packed into one area, you could easily plan a route that will allow you to take in as many gorgeous sights as possible – and enjoy some scrummy local food and drink too!